A bit about my work. As an artist I enjoy creating 3D sculpture from wood. I take great pleasure in the colors and textures apparent in native beetle stained pines and the unpredictable character found in native Juniper. Recently I have turned my attention to Teton Mountain scenes, and native wildlife. I have carved bears, bison, moose and cutthroat trout. I currently have work displayed in Jackson at Horizon Fine Art Gallery., and have successfully sold in the Jackson market. A large piece of mine on display at Wild Hands is a queen sized bed entitled “Sweet Dreams”. 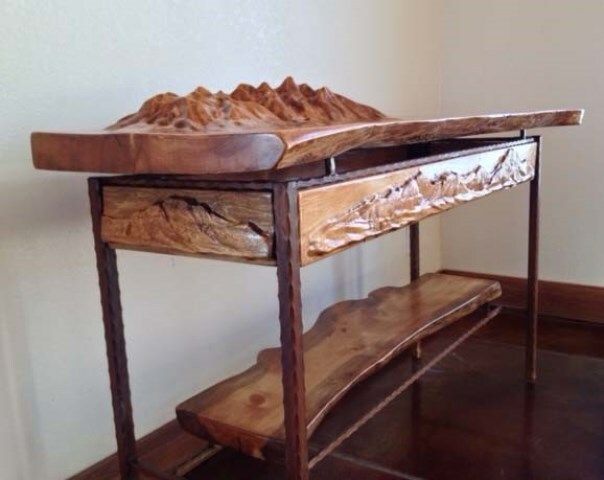 The bed has a carved Teton Range headboard, and a carved mama bear and two cubs foot board. 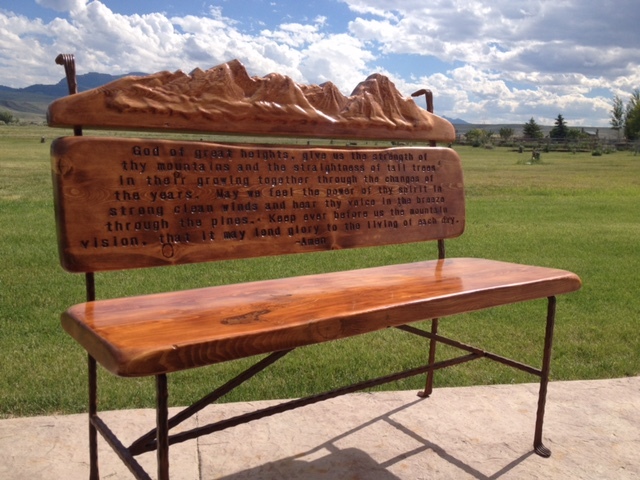 My work is also displayed in Cody and Red Lodge, Mt.